We have few but important updates from last TTR AGM which has also been the occasion to welcome two newcomers! There are a couple of exciting events coming up this month here in Reading: art, fun and food to enjoy the first bite of summer, and our monthly appointment with the Repair Cafe where our fix-perts will give new life to all sorts of everyday use objects. The AGM went really well, with lots of good discussion, yummy food and new faces! We decided to reduce the number of Steering Group meetings from monthly to 3 per year plus the AGM (so they will run approximately quarterly). We don’t have a meeting in August because so many people are away, which means that the next one is likely to be in September (TBC). Sorry to see Nick Mercer step down from the Steering group, due to the pressure of his many other commitments, but a thank you to him from the group for his contributions over the past few years. Other non-executive members of the steering group are: Tony Cowling, Chris Burden and Alan Clark. The monthly newsletter will continue with Marta taking this over from Alex and she has lots of good ideas for how to enhance it so look out for future editions! Repair Cafe returns to Emmer Green on 18 June! Come along to get help to repair your things, save money, benefit the environment and meet lovely people. Bikes – Reading Bike Kitchen will be joining us to fix bikes! A great chance to explore and celebrate Reading’s link with the waterways. Between 11am and 5pm, you can watch live performances and join in with free family activities in the Forbury Gardens, browse the avenue of stalls along Chestnut Walk, listen to live music, enjoy a tasty bite to eat and something refreshing at the Bel and The Dragon at Blake’s Lock and admire the flotilla of boats along the Kennet Canal. Take part in this local community festival and discover how rich and diverse your neighbourhood is. From 12-6pm on Sunday 25th June. This month we have lots going on with the TTR AGM, Repair Cafe and we’re organising a talk on Climate Change! It was decided at the last steering group meeting that unless more people come forward to help at the AGM, TTR will go into a dormant holding role with only a few meetings per year and no monthly emails. So if you like these emails or would prefer a larger presence from TTR, and you feel you have the time, please consider coming forward to help at the AGM or reply to this email to let us know. Other notices this month include a chance to help run Repair Cafe from next year and we recommend getting to Reading Green Drinks for some environmentally themed socialising. The Transition Town Reading AGM will be held in Room 3 at RISC on Thursday, 18th May at 7.30pm. The event will be informal with general discussion and food – please bring along something to share. Most importantly, this is where new Steering Group members, i.e. Chair, Secretary, Treasurer, Communications Officer, are elected. Critically we do not currently have a Secretary or a Communications Officer. As mentioned above, it was decided at the last steering group meeting that unless people come forward to help with these roles, TTR will go into a dormant holding role with only a few meetings per year and no monthly emails. So if you like these emails or would prefer a larger presence from TTR, and you feel you have the time, please consider coming forward to help at the AGM or reply to this email to let us know. Repair Cafe this month is at rLab (C1 Weldale St, RG1 7BX) on the usual 3rd Sunday of the month (21 May). Bring along your broken items to be re-cycled, refreshed and refurbished! Throw it away? NO WAY! Bring it to Repair Cafe! Also if you have your own creative project (e.g. sewing, knitting, Raspberry Pi) you’re welcome to bring them along to work on! Bikes – Reading Bicycle Kitchen will be there! We are holding a talk on Thursday 25th May at 7.30pm in the Main Hall at RISC entitled “Climate Change: The Opportunity” where Dr Robert Hutchison, founder of Winchester Action on Climate Change, will talk about what we as citizens can do in response to the crisis facing our planet. The talk will be followed by a chance for questions and discussion. We hope April is showering you with sunshine and joy! This month Repair Cafe is at a new venue – New Hope Centre and it’s on a Saturday! We also have our usual monthly meeting where in particular we will be discussing the future of Transition. Unfortunately for a sustainability themed organisation, we’re not very sustainable with one or two steering group members doing the work of four people! So we need to decide how we are to proceed and in particular how this will affect our AGM in May. Other notices this month include dates for your diaries for TTR events in May, and a chance to help run Repair Cafe from next year. Around Reading there’s Reading Green Drinks for some environmentally themed socialising and Bean Pole Day for local woodland and wildlife fun times. Transition Town Reading Meeting: Wednesday 19 April, 7:30pm at Great Expectations Pub. This meeting we’ll be particularly discussing the future of Transition Town Reading and re-usable cups. Bring along your broken items to be re-cycled, refreshed and refurbished! Throw it away? NO WAY! Bring it to Repair Cafe! Also if you have your own creative project (e.g. sewing, knitting, Raspberry Pi) you’re welcome to bring them along to work on! The Transition Town Reading AGM will be held in Room 3 at RISC on Thursday, 18th May at 7.30pm, save the date! Most importantly, this is where new Steering Group members, i.e. Chair, Secretary, Treasurer, Communications Officer, are elected. Bean Poles and Pea Sticks, Plants, Tool Sharpening, Recycled Timber Products, Reconditioned Tools, Willow Products, Handmade Walking Sticks. Children’s Activities with ‘nature nurture’. Spring is now just about here and the daffodils are out, YAY! This month Repair Cafe is back at rLab, .we also have our usual monthly meeting, a date for your diaries, and a chance to help run Repair Cafe from next year. Around Reading there’s Reading Green Drinks for some environmentally themed socialising, we encourage you to attend a Global Justice Reading talk on “Change Climate Finance” and there’s a talk at the University on electric cars. Transition Town Reading Meeting: Tuesday 14 March, 7:30pm at Great Expectations Pub. This meeting we’ll be particularly discussing local economy project and re-usable cups. Repair Cafe this month is back at rLab (C1 Weldale St, RG1 7BX). There’s plenty of parking at the venue so don’t be shy to bring down your larger items! Global Justice Reading will be holding a meeting entitled, ‘Change Climate Finance’. Siobhan Grimes, from Christian Aid, will talk about a campaign to get banks to support clean energy and abandon fossil fuels. At present, banks invest much more money in mining for coal and drilling for oil than in renewables. We will learn how we can encourage them to shift money towards investing in clean, renewable energy and being part of the solution to climate change. ARE AUTONOMOUS ELECTRIC CARS THE FUTURE OF PERSONAL TRANSPORT? Join this annual Great Debate, led by the University of Reading and Engineering Institutions of the Thames Valley to discuss whether autonomous electric cars are the future of personal transport. Snowdrops are out and spring is just around the corner! This month Repair Cafe is at RISC, and includes a FREE workshop from Tony Cowling on ways to save energy in the home and reduce your bills. We also have our usual monthly meeting, a call out for homes to draught proof and a chance to help run Repair Cafe from next year. 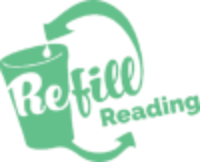 Around Reading there’s Reading Green Drinks for some environmentally themed socialising and Reading Bicycle Kitchen are looking for a new home – let them know if you know of anywhere that may be suitable. Transition Town Reading Meeting: Tuesday 14 February, 7:00pm at Great Expectations Pub. Note the earlier start time of 7pm. Repair Cafe this month is at RISC (35-39 London St, RG1 4PS) starting at the slightly later time of 1pm, and there’ll be another FREE workshop on saving energy and reducing household bills at 3pm. At the workshop you will be able to get advice on energy efficiency, with practical hints and tips on draught proofing and insulating your home. No need to book, just turn up on the day. You can also bring along your broken items to be re-cycled, refreshed and refurbished! Throw it away? NO WAY! Bring it to Repair Cafe! Also if you have your own creative project (e.g. sewing, knitting, Raspberry Pi) you’re welcome to bring them along to work on! Draughtbusters – we can fix your draughts and help reduce your energy bills! DraughtBusters has helped over 200 households in Reading to save energy through draught proofing and by giving advice on how to manage heating systems. The vast majority of this work has been carried out in the homes of the increasing number of people living in fuel poverty in our town. On average our clients save £120 p/a and all of them are now warmer in their homes. For more details see the DraughtBusters website: http://readinguk.org/draughtbusters/ The service is offered free of charge – donations for materials are welcome. We are looking for more homes in the Greater Reading area to draught proof – if you or someone you know is interested then get in touch by contacting DraughtBusters directly via their contact form. DraughtBusters will also be running a workshop at Reading Repair Cafe on Sunday 19th February. People will be able to get advice on energy efficiency at the event, with practical hints and tips on draughtproofing and insulating their homes (see Repair Cafe event above for more details). Reading Bicycle Kitchen (RBK) needs a new home soon! If you know of a potential property located in the town centre or on the edge of town that might be available for let then please send as much information as you can to property@readingbicyclekitchen.org for their Property team to investigate. Please don’t rule anything out or assume that they might know about it already – they would rather have the same information 10 times than miss out on a potential opportunity! Michele and the RBK Property Team. Happy New Year! We hope 2017 is full of fun and adventures as we continue our transition journey! This month Repair Cafe returns after it’s December break at the familiar rLab (Reading Hackspace) venue, and also includes a workshop from Tony Cowling on ways to save energy in the home and reduce your bills. We also have our usual monthly meeting, a call out for homes to draught proof and a chance to get involved with a new project. Around Reading there’s some good news from the Reading Community Energy Society, a talk on water supply and a Permaculture Design Course at RISC. Repair Cafe is back at rLab (Unit C1 Weldale Street, RG1 7BX), and there’ll be a FREE workshop on saving energy and reducing household bills at 3pm. At the workshop you will be able to get advice on energy efficiency, with practical hints and tips on draught proofing and insulating your home. No need to book, just turn up on the day. Transition Town Reading Meeting: Tuesday 17 January, 7:30pm at Great Expectations Pub. This meeting we’ll be particularly discussing planning for 2017 and the local economy project (see below). DraughtBusters will also be running workshops next year at Reading Repair Cafe on Sunday 15th January and Sunday 19th February. People will be able to get advice on energy efficiency at the event, with practical hints and tips on draughtproofing and insulating their homes (see Repair Cfe event above for more details). This is a repeat of the Reading Climate Forum talk from 4th November. Chris Beales, a local hydrologist, and Michael Bright, a water industry consultant, will talk about how Reading gets its water, water efficiency, and the related challenges we expect to face from our changing climate. Permaculture Design Course (PDC) to be run at the Reading International Solidarity Centre (RISC), over 6 alternate weekends beginning on Saturday/Sunday January 21st/22nd. There are also optional extra field-trips available, visiting projects in mid-Wales. Permaculture is a positive, powerful and solutions-based approach to design, offering perhaps our most powerful tool to accelerate our collective evolution to a sustainable existence. Directly modelled on nature, permaculture takes you beyond sustainability to abundance. Focus is also given to how we can apply permaculture principles to designing within the urban environment that most of us live in, e.g. living in a large town such as Reading. DraughtBusters will be running two drop-in workshops at Reading Repair Café events this winter as part of the national Warm Homes Campaign. At the workshops you will be able to get advice on energy efficiency at the event, with practical hints and tips on draught proofing and insulating your home. The two workshops are on Sunday 15th January, 3pm, at rLab, C1 Weldale Street, RG1 7BX and on Sunday 19th February, 3pm, at RISC, 35-39 London St, RG1 4PS. You don’t need to book, just turn up on the day. Repair Cafés take place throughout the year. So as well as the Energy Saving workshops you can bring any household items that need repair and members of the Repair Café team will try and assist. Doors open at midday and close at about 4.30pm. We hope to see you in January or February. The Warm Homes Campaign is run by fuel poverty charity National Energy Action (NEA), which aims to raise awareness of the problem and some of the solutions available for those struggling to heat their homes affordably. Season’s Greetings from TTR! This month we are bringing you some festive Transition cheer with our Christmas party! This year it’s held with Reading Friends of the Earth and Berkshire Greenpeace invited and replaces our usual monthly meeting. As the mercury drops, we are focusing on Draughtbusters this month – if you or someone you know has a draughty house then read on below to find out how we can help! Also, we are starting a bit of research into Local Economy schemes – if you’re interested let us know! Repair Cafe are having a break this month, they are back next month on Sunday 15 January at rLab. Elsewhere around Reading, there’s Reading Green drinks for social fun times, Econet Christmas tree sale for ethical, local trees and sign up now for permaculture course starting next month at RISC. Transition Town Reading Christmas Party: Monday 12 December, 7:30pm at RISC Room 1. The Transition Town Reading Christmas Party will be taking place on Monday 12 December in Room 1 at RISC, London Street from 7.30 – 9.30pm. Come help us celebrate another successful year in Transition! We’ll be joined by Reading Friends of the Earth and Berkshire Greenpeace, and please bring along food to share. DraughtBusters will also be running workshops next year at Reading Repair Cafe on Sunday 15th January and Sunday 19th February. People will be able to get advice on energy efficiency at the event, with practical hints and tips on draughtproofing and insulating their homes. More details to follow in January. Repair Cafe is having a well earned break in December. In January they’ll be back at rLab (Unit C1 Weldale Street, RG1 7BX), and there’ll be a workshop on draught proofing and reducing condensation in the home (see DraughtBusters above). Scots pine Chistmas trees harvested as part of the management of local heathland for sale, as well as holly, mistletoe, cones, willow Christmas wreaths and natural decorations. Permaculture Design Course (PDC) to be run at the Reading International Solidarity Centre (RISC), over 6 alternate weekends beginning on Saturday/Sunday January 21st/22nd (2017). There are also optional extra field-trips available, visiting projects in mid-Wales.